Kangaderoo Custom QR Code. : Advanced QR Code tracking. Quote from the movie Alien: "I've taken care of that. I've designed this tracking device." Unlike in the movie, tracking monsters is not the intention with QR Codes. The QR Codes being a ideal bridge between the normal world and the internet, usage of QR Codes scanning provides a lot of traceable data while being scanned. When starting a marketing campaign, it is very useful to measure it's impact. While surfing on the internet free information like: browser, operating system, referrals, locations, etc is all being transferred when a webpage is visited. This information can be stored, analyzed and processed so that the campaign that is running can be fine tuned for an even bigger impact. A QR Code on printed material, when scanned, generates access to the same information. There are a few companies on the internet that will provide this service of retrieving and processing this information. The QR Code just has to be linked through their system. One of these companies is ProQr. I have checked out their demo, and found that besides tracking and analyzing ProQr offers more services when running the QR Codes through their system. Besides linking to a (mobile) webpage; pre-formatted email, phone number, text message, Facebook and Twitter functions are also available. One of the many features offered is changing the behavior of a single code on the fly, in your own online dashboard environment, a feature commonly known as dynamic QR Code. For instance, you have a QR Code that returns a phone number, this code can be relinked to a webpage informing that you are on holiday for the next week. Just link it back to return your phone number when you are back. The dashboard functions include real time data analysis with graphical display for usage and location in combination with filter options. 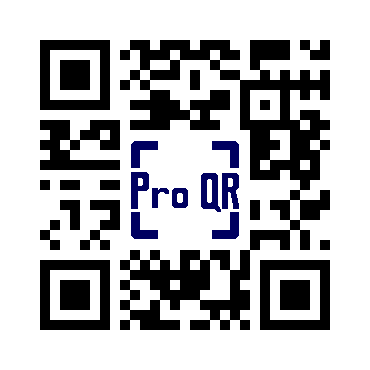 If you are in need of a campaign in combination with QR Codes I would advice to request the free demo access to try and test all these functions and services for yourself.